Yesterday, April 2, the Vilcek Foundation held its annual award ceremony for the 2015 Vilcek prizes that, this year, honored people in the biomedical science and fashion industries. 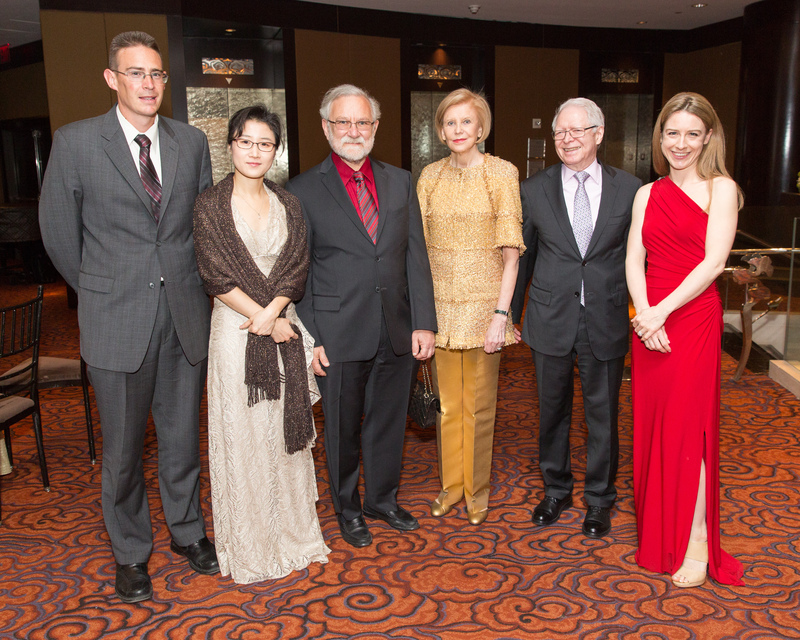 The event, held at the Mandarin Oriental, gathered all of the recipients and many of their friends and supporters. Peter Walter received the award for biomedical science, for his work in cell research, while Sun Hur, Rob Knight and Franziska Michor received awards for creative promise in the field. Meanwhile Andrew Bolton, curator of the Metropolitan Museum of Art’s Costume Institute, was honored with the award for fashion, while designers Siki Im, Natallia Pilipenka and Tuyen Tran were recognized for their creative promise in the field. Other attendees included: Vogue editor Anna Wintour, designer Thom Browne, film director Baz Luhrmann, stylist Anna Kissling, foundation co-founders Marica andJan Vilcek, journalist Alina Cho, MADE co-founder Keith Baptista, Susan Houser, Costume Insitute curator Harold Koda, journalist Amy Fine Collins and Suite 1521 co-founder Lizzie Tisch.